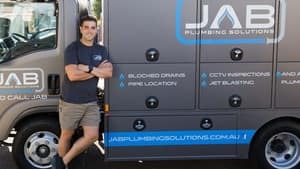 JAB Plumbing Solutions is a team of drainage plumbers that has been providing quality blocked drain solutions throughout Sydney and the Inner West for over a decade. 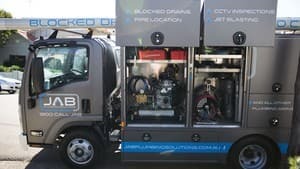 We specialise in clearing all kinds of blocked drains and our fully licensed plumbers are prepared to handle any job, regardless of the size. 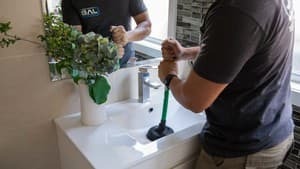 Whether you have a shower that won't drain properly, a clogged toilet or tree roots in your sewer line, our expert plumbers can clear your blocked drain in a prompt, professional manner. 1. We specialise in drainage - Because we focus on one thing, we do it exceptionally well. Our team is equipped with the best drain cleaning tools on the market. 2. On-time, every time - We know how busy you are and we value your time. This is why our plumbers always arrive on time. On the rare occasion when we are running late, we will send customers a courtesy message to let them know. 3. Fully licensed professionals - Our team is highly trained, fully licensed and insured to carry out drainage work in a safe manner. 4. Clean and tidy - We respect our customer's homes and always clean up after ourselves. 6. Upfront fixed pricing - We believe in upfront pricing so that our customers will never be surprised with hidden fees and charges. 7. Quality guarantee - Our service comes with a 100% quality guarantee so you can rest assured all work is carried out to the highest possible standard. 8. Friendly service - Professional service and honest advice you can rely on. That's our promise to you. Just had Jason and the JAB team sort out a blocked drainage issue for us. Would definately stick with using them from now on for any plumbing issues as they were professional and there service was great. My partner and I were very suprised at how affordable they were along with being on time and getting the job done! Cheers Jason and the JAB team keep up the good work! 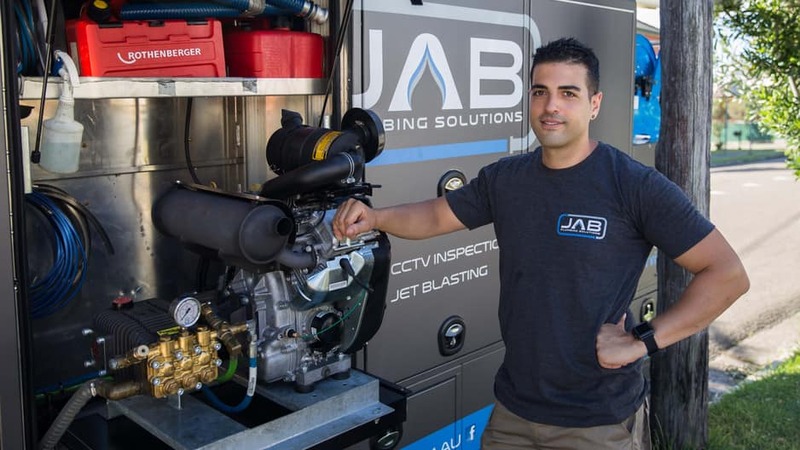 We used Jason from JAB Plumbing to fix our blocked toilet. He was great to deal with on the phone and knew what he was doing. 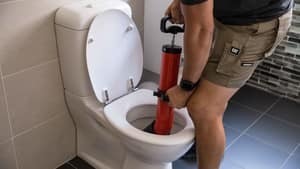 When he arrived he was very organised and professional, fixed the blocked toilet quickly and then cleaned up after himself. Would definitely use him again if ever I needed to and highly recommend. I would HIGHLY recommend Jason and his team. All were very reliable and professional throughout our whole renovation process. The kept us well informed from the get go! Jason your patience and understanding is to be comended! Thank you, Thank you, Thank you. I would not recommend Jason or his plumbing team on anything decorative. They simply don't have the experience. His plumber scratched my new marble tiles relocating the toilet then sealed it up with silicone without attaching the cistern properly causing water to penetrate throughout my marble floor under the sealer. On another install he cut the spindle on the plug and waste to make it fit but broke the part and didn't say anything. Jason won't return my calls or fix the bad plumbing - I've since had to get another plumber to repair everything they broke and have the marble floor buffed. If I had more time I'd make a claim with the Department of Fair Trading. Jason helped us find a gas leak an fixed it up straight away. He took all necessary safety precautions and got the job done quickly. Thanks!